Click on the link to find Kenneth Mahood’s treasure, a magic box. Read more about Kenneth Mahood, brilliant cartoonist. “This fairy has been to sea! She came with me in a rowing boat on a journey across the Atlantic Ocean. The sun scorched her and the wind whipped her about but the elements only made her more beautiful to me. She went up on the mast on Christmas Day and then stayed there to keep a look out over my team mates and me. All girls together on a little boat in seas 7 miles deep. It was the most memorable Christmas I’ve ever had. smile and I carried you back to Istanbul, where you now sit in my study. things, reminds us that the simplest and most honest things are a gift. As a child I wasn’t allowed many toys apart from books and bicycles. Wooden toys and cameleons, as I lived in Madagascar. But there was one magical thing that my grandfather used to show me on some special days. 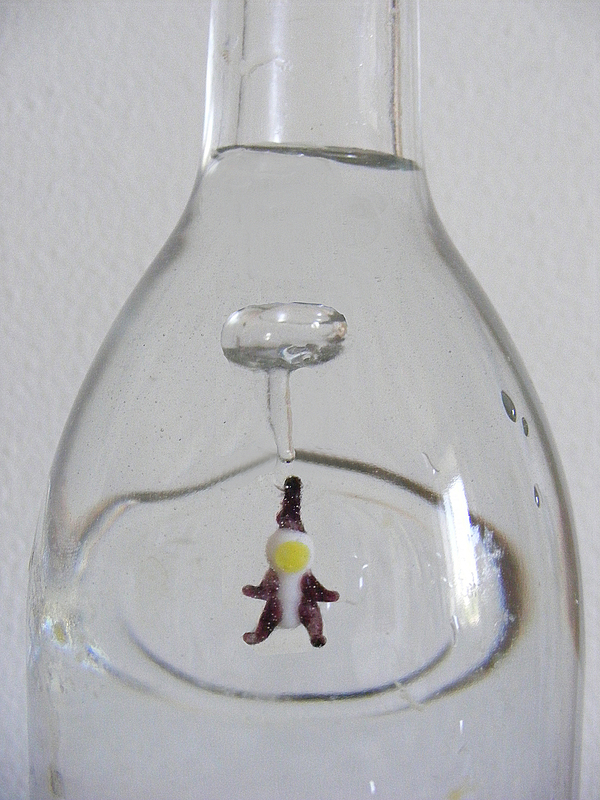 He pulled out from a dusty cupboard in a kitchen a strange bottle in which a little devil would magically go up and down according to his orders…I loved this homunculus that would travel in the bottle. He would dance around rapidly or slowly according to my grand-father’s orders…. It was made of blown glass and was very fragile. Here it is again in the middle of a bottle…. In french we call him Ludion, in English it is Cartesius little Devil as it is Cartesius who invented the device…. Elizabeth Frolet, artist, Rome, Italy. 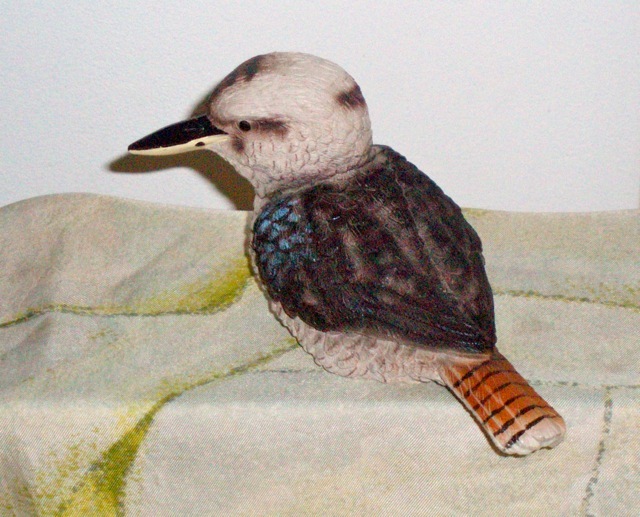 This much-loved object is a very simple wooden kookaburra, bought very many years ago in a Garden Centre near Sydney. I bought it on one of my first visits to Sydney, to the house where my son and his family then lived. I was fascinated by the call of the kookaburra, and I saw my first one, really close up, when to my great surprise, it came and sat on one top of the washing line, while I was hanging out some washing. I was quite enchanted when it just sat there and looked at me for quite a while. I then went back to the house, and sat myself down on the deck at the back to read… and my kookaburra (I now regarded it as mine!) flew over and perched on the edge of the deck just in front of me, and there he stayed. And indeed he kept coming back and visiting me either in the garden or by the deck, not at all disturbed by my presence even if I moved about. Ever since that time I have felt a very special affection for this delightful bird with its loud laughing call, and this small object is for me a constant reminder of Australia and some very happy times. Valerie Minogue, 80, Professor of french, Swansea. 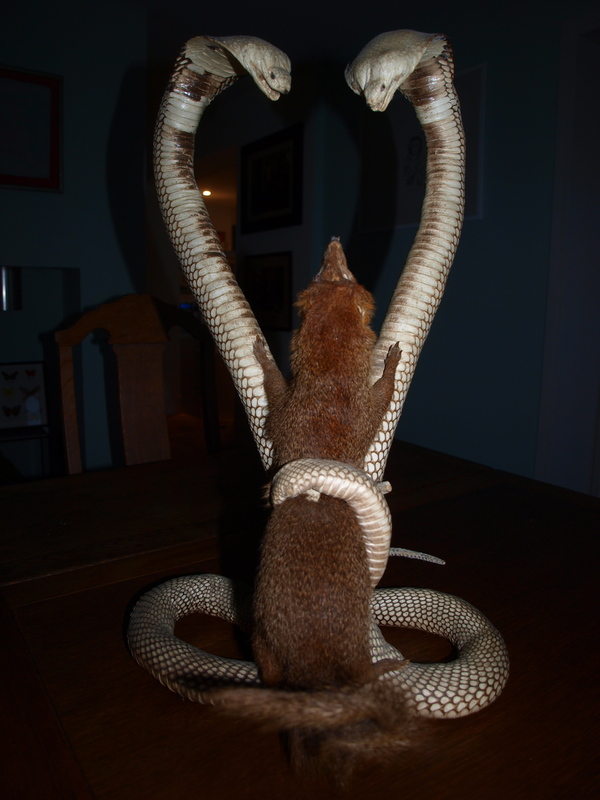 I have collected taxidermy for years, and have built up quite a collection; this piece being one of my favourites. I had brought in a piece of taxidermy for repair in an antiques shop when I came across this one. 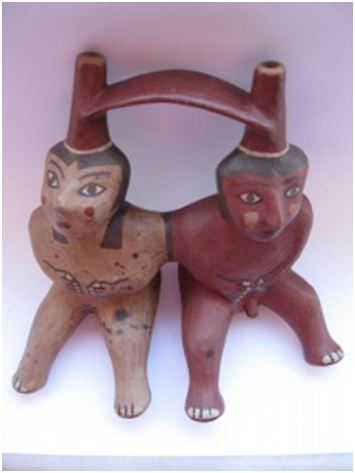 What I love about this triplet, is the heart-shape formed by the curving cobras’ bodies; this really accentuates the drama of the scene. It was highly fashionable in the Victorian Era to re-create dramatic scenes from the wild using rare and unusual animals in their taxidermy. 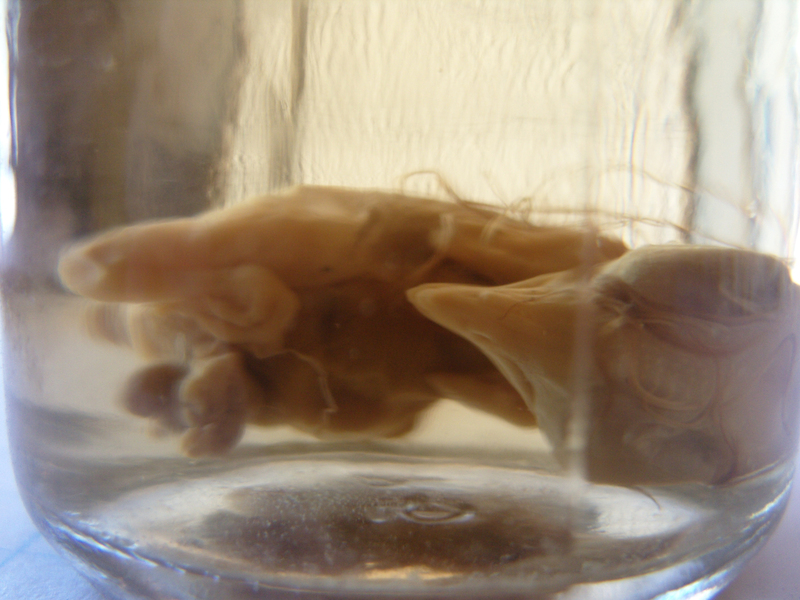 Nowadays taxidermy is created using only animals that have died from natural causes. My collection of taxidermy forms much of the paraphernalia in our Stephen Webster shops, and at home. 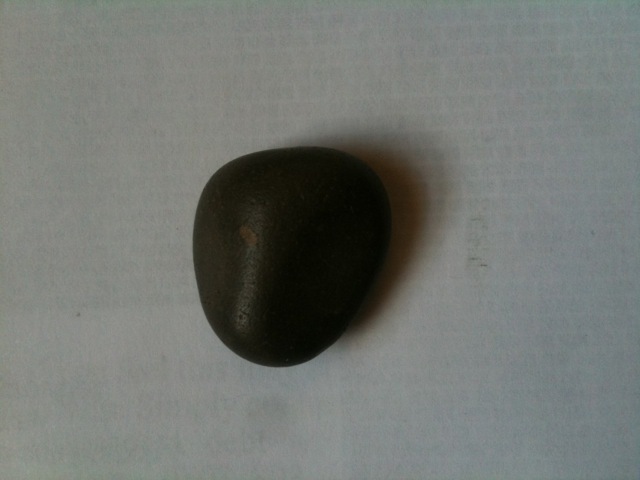 An unremarkable stone, except that I have kept it with me for maybe forty years, since Barry Stratton dug it up one afternoon, and I put it in my pocket. He was a boy in my class, and all that I remember of him is that afternoon, and wanting to keep his stone. Helen Schlesinger, Actress, London, UK. My Dad came across these Gem Bugs about 6 years ago whilst on a trip to Japan. 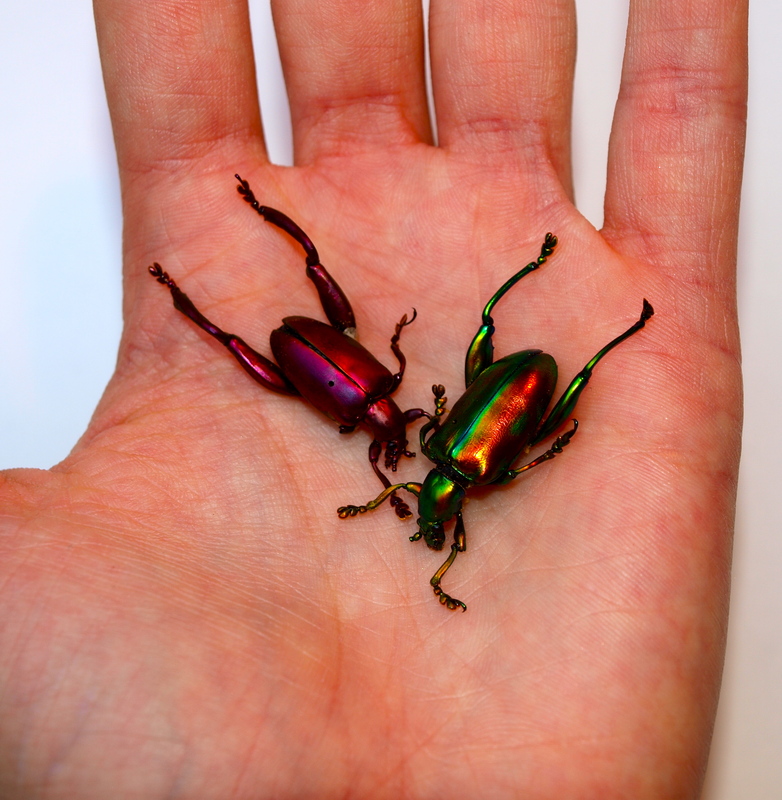 He bought them off an elderly Japanese guy sitting outside a bar, and since I have an eager fascination with insects he gave them to me, and I have treasured them ever since. My sister and I were rummaging in the basement of our home in Deal, to see if we could find where the parents had hidden all the Christmas presents last year, and we came across this little brown papery parcel beneath the staircase. 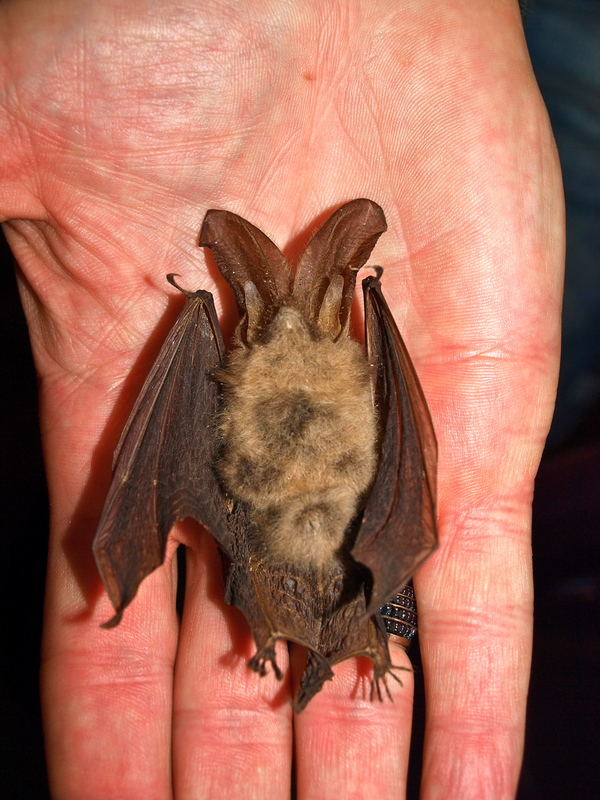 The parcel being a tiny dead bat. It is now the house’s lucky charm, and despite the fact that we haven’t artificially preserved it in any way, it has remained in its perfect condition, as if it were just fast asleep. ‘Beaker’ is the name I have for it. It has been with me ever since I left for art school many years ago. I could always count on Beaker for a good luck charm, laughs and good ol’ friendly advice. I found him in an abandoned nest in my front yard in the summer of 1992. And Beaker is still with me after all these years.